Cheese is very sensitive, and it goes bad really quick. The mozzarella my husband brought home for the meatball sandwiches had such an awful smell. But the expiration date was 21st of January next year. I looked closely and realised the bag it was in was not sealed properly. It’s supposed to be an air tight seal but this one had a small opening in one corner. Anyway, I took it back to Nakumatt and I’m pleased to report that they handled it very well. I was pleasantly surprised. I took it to the customer service desk with the receipt. The customer service guy called the person responsible for the dairy section. He came to inspect the bad cheese! Then he gave the go ahead for a complaint form to be filled and brought me some fresh cheese! 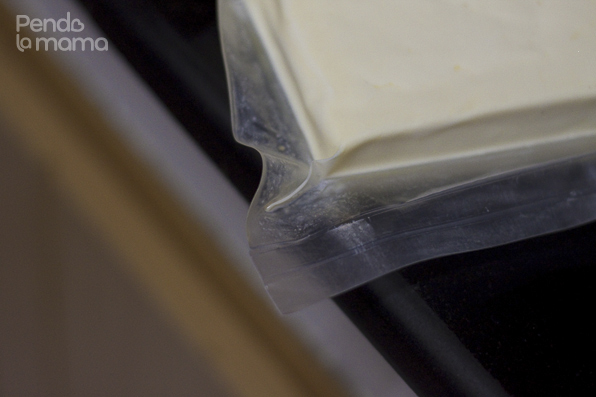 So when you buy cheese, check the pack it’s in, make sure it’s sealed properly. This I learned from my mother —> Always use clean and dry cutting tools! When I’m cooking I usualy use the same knife to cut all the veggies. I will probably cut the broccoli, carrots and couliflower with the same knife without washing it. Which is fine as long as the veggies have been washed. But you can’t do this with cheese. Always wash (with soap, don’t just rinse) and properly dry the knife/cheese slicer/grater before it comes in contact with the cheese. …and what’s wrong with using a non-clean or non-dry knife? Well, they get mould much faster if sanitation is poor. Just keeping things clean to avoid cross contamination.